One could nearly say it’s better than the previous three entries combined. Jurassic World for a long while gave me a huge grin. It calls back the 1990’s style blockbuster when camerawork had a classical wide lens shooting style and wasn’t cut up in dozens of unnecessary fragments. Shots are allowed to breathe. Coming out of it, I pretty much had a grand vision of this futuristic park on an island off of Costa Rica. I liked most of the characters, but the reliable Chris Pratt as a former Navy man turned species trainer I liked the best. The director is Colin Trevorrow, who after two movies (the clever indie “Safety Not Guaranteed” was previous) seems to be a remarkable talent. He has a knack to recapture all the visual touches of Spielberg. You can guess this story. One genetically modified half dinosaur, half monster called “Indominous Rex” – a corporate creation per se – breaks out of its pen and sets off a chain reaction of havoc and other dinosaur attacks. 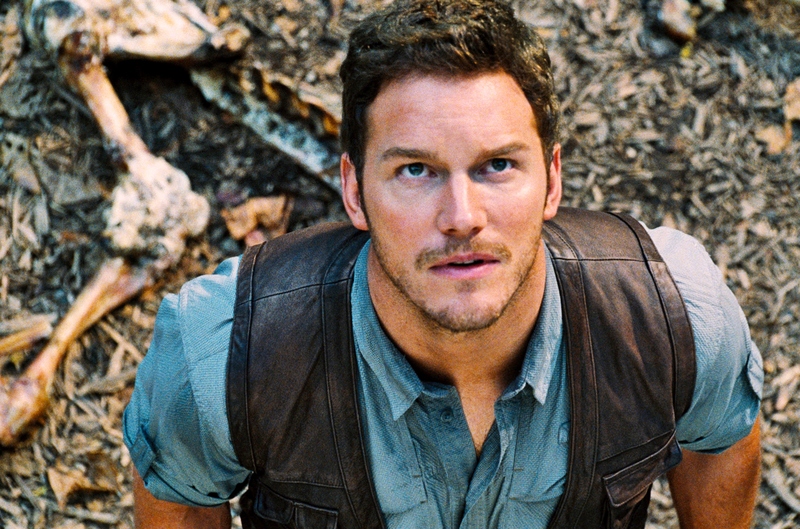 The scary scenes are often smart, such as when Pratt is under a vehicle and thinks real quick to douse himself in motor oil so the attacking dinosaur won’t eat him. Good stuff. Yet the movie runs on too long, and when all the dinosaur on monster fighting happens at night, I had to rub my eyes because I couldn’t clearly follow it. This was contrast to the big bulk of daylight action – the pterodactyl attack on park visitors was particularly exciting with a Hitchcockian “Birds” mercilessness – but when it gets to nighttime… Well, a quarter of the shots are muddy. There are a few lame scenes and one noxious storyline: Vincent D’Onofrio plays a security man who barfs up an idea to use dinosaurs as military seek and destroy weapons. I didn’t believe it nor do I understand the character’s reasoning. I mean, is he a Halliburton contractor, too? What a dickhead overachiever. However, I either was involved or was charmed by the other people. 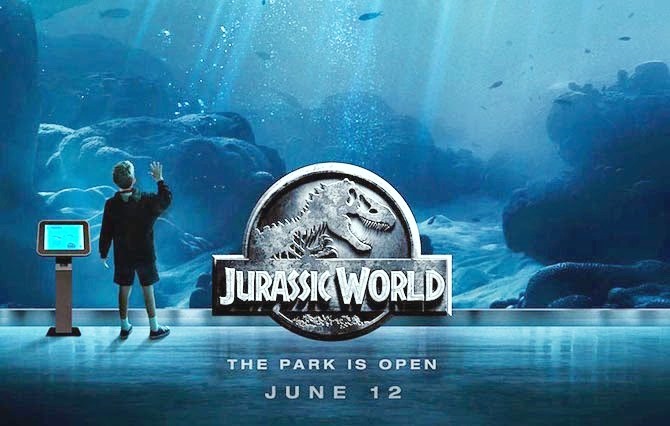 My liking extends to the two kids in peril (Ty Simpkins and Nick Robinson), the operations manager Claire (Bryce Dallas Howard) who is an economist until she realizes there is more value in saving human life rather than saving the park. There are engineers played by Omar Sy and Jake Johnson, and India’s greatest actor Irrfan Khan in a lavender shirt plays the theme park tycoon. The 1993 movie was fun because of, ahh yes, the Spielbergian visual touches. Yet this new scenario that gapes at mass consumer panic while a dinosaur theme park is actually in operation (and not just being prepared for) makes for a bigger story. Trevorrow manages to make the crowd scenes look considerably real and not turn the people into digital ants. He also resurrects the John Williams theme music. I had my share of yuks and screams throughout. I laughed. I went Ahhh, how clever. My jaw dropped for that island. I only wish the script hadn’t aborted its wit in favor of predictable action formula in the final reel. Film Cousins: “Jurassic World” (1993); “The Lost World: Jurassic Park” (1997); “Jurassic Park III” (2001); “The Mist” (2007).